Our guide is joining the guests in Budapest. Guests will see the most beautiful sights of the Hungarian capital. They will be given an overview of Budapest and will take look at the most beautiful and imposing buildings of Budapest during the tour. 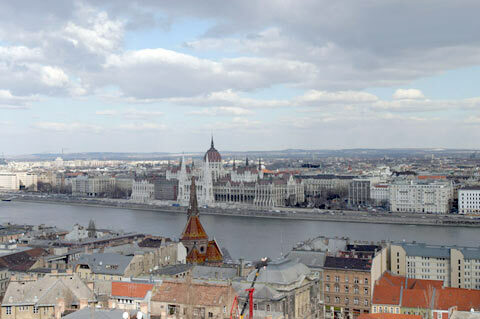 They are going to visit both sides of the city - Buda, which is the hilly and Pest, which is the flat one. At Pest side guests are taken to Heroes' square, where they can see the statues of the most important kings and heroes of the Hungarian history. Along the nicest promenade of Budapest (Andrássy Boulevard) we reach the city centre and pass by St. Stephen Basilica. The largest and nicest building in Hungary - the Parliament - is situated on the river bank. After passing by it we cross the Margaret Bridge and this way we reach Buda. Here the guests will visit the Castle District - Matthias Church, Fishermen’s Bastion. We take our guests to a short walk and show them around the medieval Buda. Finally we take them to Gellért hill. From the panoramic terrace everyone will enjoy the wonderful view to the entire city. At top of the hill the Citadel is situated, a former military fortress, built during the Austro – Hungarian Monarchy. During Budapest City Tour there are three stops: Heroes' square, Castle District and at Gellért hill.